This page covers the author of Shattered Souls. For other authors named Mary Lindsey, see the disambiguation page. What: Mary Lindsey will discuss and sign her new novel for young adults, Fragile Spirits. When: Saturday, February 1, 10:00 a.m. Where: Blue Willow Bookshop, 14532 Memorial Drive, Houston, TX 77079 Admission: In order to go through the signing line and meet Mary Lindsay for book personalization, please purchase Fragile Spirits from Blue Willow Bookshop. At the time of your purchase, we will issue a signing line ticket that indicates your place in line. Your book and signing line ticket can be picked up at the event. About the Author: Mary Lindsey lives in Houston with her husband, three kids, two dogs, her daughter's pet rats, and australian Bearded Dragon and dozens of Madagascar Hissing Cockroaches (The roaches are a long story--don't ask). Mary is the author of SHATTERED SOULS and ASHES ON THE WAVES, as well as Fragile Spirits. Book: In Fragile Spirits, Paul has always known he was a Protector, fated to serve a Speaker who could hear the voices of spirits lingering after death and help those souls find peace. Vivienne never listens to the voices of the dead. Paul has always followed the Protector's rule book, preparing diligently for the day when he'd be matched with his Speaker and fulfill his destiny. Vivienne never does what she's told. So when Paul is matched with Vivienne, they both find the pairing less than satisfactory. But a kidnapping, a malevolent spirit and a power stronger than both of them may just prove that they are two halves of the same whole. In a stunning story about the beauty of fate and the power of secrets, Mary Lindsey returns to the world of SHATTERED SOULS with a breathtaking thrill ride of a novel. Ordering: A limited number of autographed copies of Mary’s book will be available for purchase after the event. If you cannot attend the event, and would like a personalized copy of her book, please call us before the event at (281) 497-8675. If you can't attend the event or need a copy shipped to you, you may call the store or add the appropriate book to your cart on our website. Payment type must be "CreditCard." In the order notes, add personalization details. To place an international order, please email orders@bluewillowbookshop.com to obtain shipping details and to have items shipped to you. Staff will respond within 24-48 hours. Sophie Jordan will sign and discuss her newest novel, Uninvited (Harper Teen; $17.99). Sophie will be joined by special guest, Mary Lindsey! Mary Lindsey will sign and discuss Fragile Spirits (Philomel; $17.99). Mary Lindsey is the author of Shattered Souls (Philomel Books; $16.99). Prior to attending University of Houston Law School, Mary received a B.A. in English Literature with a minor in Drama from the University of Houston. She has taught drama and play writing in a large public high school and English in a private school. Currently, Mary teaches acting to children and teens at a private studio in Houston, Texas. P.J. Hoover will sign and discuss Solstice (Tor; $17.99). P. J. Hoover first fell in love with Greek mythology in sixth grade thanks to the book Mythology by Edith Hamilton. After a fifteen year bout as an electrical engineer designing computer chips for a living, P. J. decided to take her own stab at mythology and started writing books for kids and teens. When not writing, P. J. spends time with her husband and two kids and enjoys practicing kung fu, solving Rubik's cubes, and watching Star Trek. Her first novel for teens, Solstice (Tor Teen, June 2013), takes place in a global warming future and explores the parallel world of mythology beside our own. Her middle grade novel, Tut (Tor Children's, 2014), tells the story of a young immortal King Tut, who's been stuck in middle school for over 3,000 years and must defeat an ancient enemy with the help of a dorky kid from school, a mysterious Egyptian princess, and a one-eyed cat. For more information about P. J. (Tricia) Hoover, please visit her website www.pjhoover.com Mary Lindsey will sign and discuss Ashes on the Waves (Philomel; $17.99). Joy Preble will sign and discuss The Sweet Dead Life (Soho Teen; $17.99). A former English teacher, Joy is the author of the Dreaming Anastasia series (Sourcebooks), which blends paranormal romance with historical fiction. The second in that series, Haunted, is out now, and the final book of the trilogy, Anastasia Forever, was release in Fall 2012. Another paranormal – about a sixteen-year-old stoner turned guardian angel – The Sweet Dead Life – is set in Houston and slated for May 2013, from Soho Press. Joy grew up in Chicago but now lives with her family in Houston where she writes full time and frequently gets into wild rumpuses and other mischief. She is not a fan of the Houston summer but does love cowboy boots, going to the rodeo, and the coffee drinks at Empire Café. Martha Wells will sign and discuss Emile and the Hollow World (Strange Chemistry; $9.99). Martha Wells was born in 1964 in Fort Worth, Texas, and graduated from Texas A&M University with a B.A. in Anthropology. 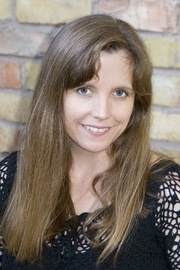 She is the author of eleven novels, including the Nebula-nominated The Death of the Necromancer, as well as a number of short stories and nonfiction articles. Her books have been published in seven languages, including French, Spanish, German, Russian, and Dutch. Her latest fantasy novel, The Cloud Roads, was published by Night Shade Books in March 2011, and the sequel, The Serpent Sea, will follow in 2012. Join us as we celebrate the release of the awesome Gothic novel Ashes on the Waves from our friend Mary Lindsey. About the Author: Mary Lindsey lives in Houston with her husband, three kids, two dogs, her daughter's pet rats, and australian Bearded Dragon and dozens of Madagascar Hissing Cockroaches (The roaches are a long story--don't ask). Mary is the author of SHATTERED SOULS, Ashes on the Waves, and the forthcoming FRAGILE SPIRITS, all from Penguin USA. Book: Ashes on the Waves is a gothic young adult novel based on Edgar Allan Poe's "Annabel Lee" Liam MacGregor is cursed. Haunted by the wails of fantastical Bean Sidhes and labeled a demon by the villagers of Dòchas, Liam has accepted that things will never get better for him--until a wealthy heiress named Annabel Leighton arrives on the island and Liam's fate is changed forever. With Anna, Liam finally finds the happiness he has always been denied, but the violent, mythical Otherworlders, who inhabit the island and the sea around it, have other plans. They make a wager on the couple's love, testing its strength through a series of cruel obstacles. But the tragedies draw Liam and Anna even closer. Frustrated, the creatures put the couple through one last trial--and this time it's not only their love that's in danger of being destroyed. Based on Edgar Allan Poe's chilling poem Annabel Lee, with references to many of his other works including The Raven, Mary Lindsey creates a frighteningly beautiful gothic novel that glorifies the power of true love. What: Mary Lindsey will discuss and sign her new novel, Ashes on the Waves. When: Saturday, June 22, 1:00 p.m. Where: Blue Willow Bookshop, 14532 Memorial Drive, Houston, TX 77079 Admission: In order to go through the signing line and meet Mary Lindsey for book personalization, please purchase Ashes on the Waves from Blue Willow Bookshop. At the time of your purchase, you will receive a signing line ticket that indicates your place in line. A limited number of autographed copies of Mary’s books will be available for purchase after the event. If you cannot attend the event, but would like a personalized copy of her book, please call us before the event at (281) 497-8675. May 7-13, 2012 is Children's Book Week! Join us for a night of discussion of children's books. Mary Lindsey, author of Shattered Souls (Philomel Books; $16.99), will join Cari from Cari's Book Blog and MBTB Publicity Manager, John, for an evening of discussion about children's book from different perspectives. We'll discuss our favorite reads, the industry, bookselling, book writing, book blogging, and more! Mary Lindsey is the author of Shattered Souls (Philomel Books; $16.99). Prior to attending University of Houston Law School, Mary received a B.A. in English Literature with a minor in Drama from the University of Houston. She has taught drama and playwriting in a large public high school and English in a private school. Currently, Mary teaches acting to children and teens at a private studio in Houston, Texas. Cari is a book blogger, Social Media Expert for Blue Willow Bookshop, and a coffee lover who is just trying to juggle life, books, and blogging! Mary Lindsey is a LibraryThing Author, an author who lists their personal library on LibraryThing. Mary Lindsey's book Dear Teen Me: Authors Write Letters to Their Teen Selves was available from LibraryThing Early Reviewers. "Mary Lindsey" is composed of at least 2 distinct authors, divided by their works. You can edit the division. Mary Lindsey is composed of 1 name.